It’s Monday! You know what that means? NO cook Monday. Please join your friends and family tonight for Dinner at the Depot in downtown Kennesaw from 5 pm to 8 pm. Not only is this the coolest Food Truck Rally outside the perimeter, but tonight we’ll have a special guest band playing at 6 pm. Yep, Kennesaw’s tween sensation band Pop Rocks and Soda will be playing! Bring your kids out to see this group! They’ve played all over Kennesaw! It’s going to be a GREAT night! Check them out here: https://www.facebook.com/poprocksandsoda. These kids are great! 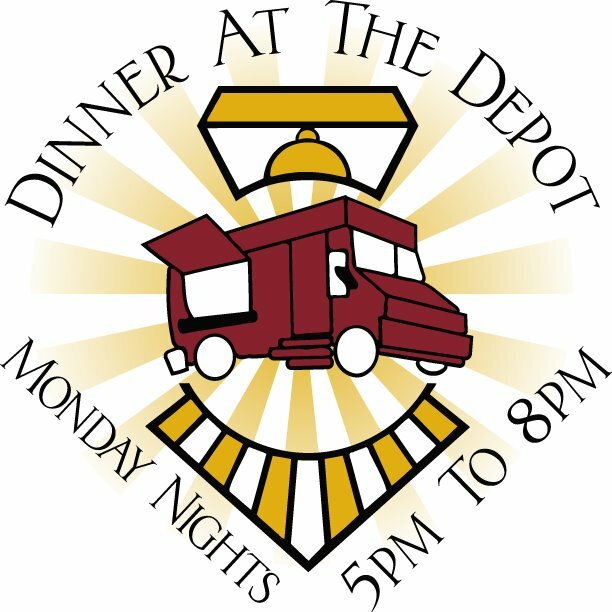 The Dinner at the Depot continues every Monday evening until the fall. A variety of food trucks gather at the Depot in downtown Kennesaw, every Monday evening from 5 – 8 pm, weather permitting. Patrons are able to purchase food to grab-and-go or to enjoy while picnicking at the tables. The gatherings offer a unique opportunity to renew friendships with neighbors seldom seen as well as meet new friends. No cook Mondays, is what it is called – perfect excuse to enjoy a picnic outdoors. The KDDA will communicate details about the slate and number of trucks via their Dinner at the Depot Facebook page. The Kennesaw Mountain High School Mustangs will be kicking off the 2013 Football Season TONIGHT, August 5, 2013 during “ Dinner at the Depot” with a pep rally and a chance to “meet the mustangs”. The entire community is encourage to come out, grab some great food and meet Head Coach Andy Scott, his coaches, the mustang football players and cheerleaders as we celebrate what is going to be an exciting football season. “Dinner at the Depot” takes place in downtown Kennesaw every Monday evening (weather permitting) May 2013 through fall of 2013. Dinner at the Depot features live music and a variety of food trucks. Participating food trucks may include Champion Cheesesteaks, Press for Time (paninis), The Pup Truck, Alisha’s BBQ, Buen Provecho, Cajun John’s, Happy Belly, Honeysuckle Gelato, King of Pops, NaNa G’s Chicken and Waffles, Dessert Pusher, and Abundant Life Coffee. The event takes place in Depot Park on Cherokee Street across from the Southern Museum from 5pm to 8pm. Grab some food and stay for “Meet the Mustangs”. Dinner at the Depot – Tonight!